Birders: The Central Park Effect is a beautiful documentary from 2012 by Jeffrey Kimball. It follows a group of people through the seasons as they go out birding in Manhattan's Central Park. The film is split into sections by season, beginning with spring, moving on to summer, autumn, winter, and back again to spring. The people birding are as varied as the birds and their numbers throughout the year also vary as do those of the birds. Some people only bird during the spring migration, when the song birds are moving north. Others bird the entire year, enjoying the variety of different species inhabiting the park during different seasons. The birds who don’t stay in Central Park year round are called migrants. They migrate north in the spring, moving from tropical locales to the Canadian provinces where they can find an abundant food supply. They go there to breed and raise young. Dr. John Fitzpatrick, the Director of the Cornell Lab of Ornithology describes how millions of migrants move north during the night. At dawn thousands of them will stop over in Central Park, a perfect wooded location with plenty of food, allowing them to eat and rest during the day. Central Park is not just a perfect location to stop, in many ways it’s one of the few available to them given the sprawling cities. The birds need a location with trees and greenery. They fly over the cities and notice Central Park, so they land and spend the day. Scientists call this the Central Park Effect. Interestingly, Central Park is an entirely artificially created park. It is made to look natural, with small wooded areas and streams flowing through the park. But the streams can be turned on and off as needed. The park was created not just as a refuge for birds and other wildlife, but also as a location for people to congregate, to enjoy the benefits of these types of parks. There is a balance between nature and people. During the summer the number of species seen in Central Park drops as the migrants have moved further north leaving the species that live in the park year round. As the number of bird species drop so, too, does the number of birders. But there are those who come to Central Park all year. There is still plenty to see, plenty of birds to watch and study. But when autumn arrives so, too, do migrants, this time heading south to their wintering grounds. And, as always, there are birders to watch and study them. During winter some species from colder northern climates travel to Central Park to spend the winter in the slightly warmer environment. Winter is also a time when birders demonstrate themselves to be citizen scientists. Each December large numbers of birders get together for the annual Christmas Bird Count, where they attempt to count all the birds in a given area during a specific time period. They gather all their counts together and collate their findings. Over time they begin to see patterns emerge, how some species continue to do well, but many others do not. Over time they are seeing the overall number of birds dropping, a potentially troubling sign for the future. I really enjoyed this film. I didn’t consider myself a birder, but I found myself smiling throughout the documentary, and I found the names of birds popping into my head as they appeared on screen. I thought: I’m not a birder, I don’t keep lists. Then I realized I do actually keep lists right here on this website in my Field Notes sections, where I have lists of some of the species I’ve photographed along with the photos and notes about the species. I guess I am a birder after all. This documentary will likely appeal to you if you are a birder or just a bird lover. I enjoyed it not just for the talk and videos of birds in the park, but also the little snippets from the lives of several of the birders who frequent the park. Birders come from all walks of life, and vary as much as the birds do. But they all share the passion, the addiction, of getting out and watching for these remarkable little creatures. 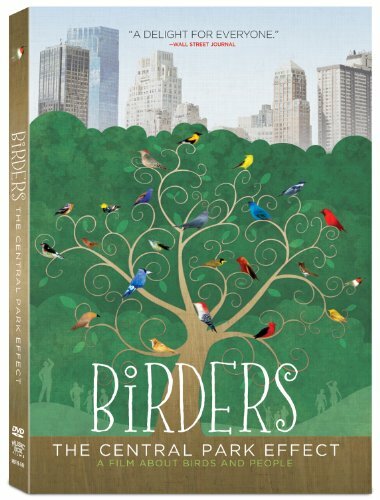 Birders: The Central Park Effect reveals the extraordinary array of wild birds who grace Manhattan's celebrated patch of green, and the equally colorful New Yorkers who schedule their lives around the rhythms of migration. 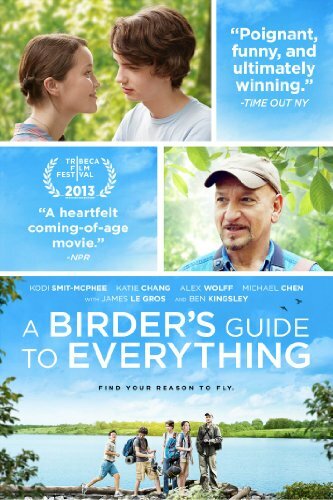 If you enjoy Birders: The Central Park Effect you may also enjoy the movie, A Birder’s Guide to Everything, staring Ben Kingsley and several young actors. It was a touching coming-of-age film about a young birder who thinks he’s made an amazing discovery and sets out with some good friends to find proof, while also dealing with a changing family situation as his father remarries. I watched Pan’s Labyrinth in the theaters the year it came out (2006), and it proved to be my favorite movie that year. I love Guillermo del Toro’s work, and thus far Pan’s Labyrinth has remained my favorite of his movies. 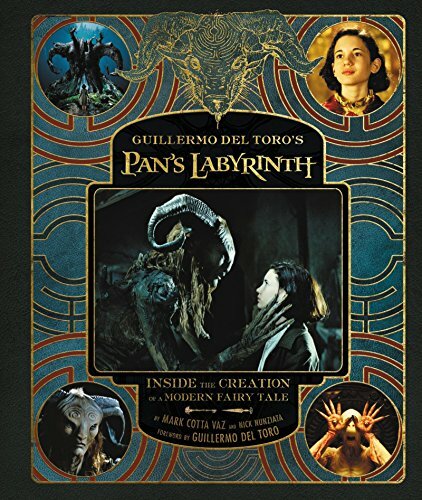 The book, Guillermo del Toro’s Pan’s Labyrinth: Inside the Creation of a Modern Fairy Tale, by Mark Cotta Vaz and Nick Nunziata, was published in 2016 to mark the 10th anniversary of the movie. I won a copy of this book through a giveaway at tor.com, and I’m very pleased I did. 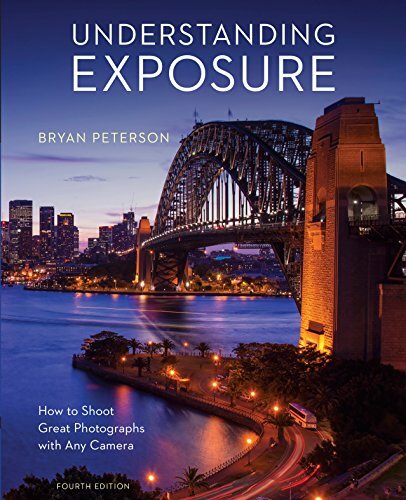 This is a beautiful hardcopy book full of all sorts of details about the making of the film, from behind the scene photos, to concept art, set design, pages from notebooks, storyboards, and lots of interesting text to go along with it all. I love the design of this book. It’s full of inserts glued to the pages. It really gives it the feel of a scrap book created during the making of the movie. As with the movie there are so many fascinating and creative visuals to keep the reader’s/viewer’s interest. Shows a translucent colored Faun overtop the initial sketch. Lifting the translucent insert you can see the initial sketch. The inset storyboard on the right is actually a small booklet. See the opened storyboard booklet. Guillermo drew together an amazing team to make Pan’s Labyrinth, both behind and in front of the camera. The book introduces many of them, such as director of photography Guillermo Navarro, who worked behind the camera on other films with del Toro, production designer Eugenio Caballero, visual effects supervisor Everett Burrell, actor Serge Lopez who plays the cruel Captain Vidal, actor Doug Jones who is covered in prosthetics as the Faun, actress Ivana Baquero who plays the young Ofelia, CafeFX who produces some of the amazing visuals, and many others. I really enjoyed learning about some of the subtle, or not so subtle, concepts or effects used in the film, things I often did not specifically notice, but knowing about them now and re-watching the film adds an extra layer to the experience. For example, the movie has 3 major journeys and they chose to use 3 color hues to represent these journeys. The first journey is reality, the world of Spain, with Ofelia and her mother trying to make a new life for themselves with Captain Vidal, who is in charge of the Fascist forces stationed at the mill. The real world uses blue hues and feels cold. The second journey is when Ofelia is in the fantasy realms, when she is working to complete the tasks given to her by the Faun. This journey uses warm colors. The third, and final, journey is when Ofelia enters the underworld kingdom, and for this they chose red and gold hues. It works so well. This is reminiscent of the green hue used in the movie, The Matrix. Even if you don’t realize how the hues are being used it does affect how the film looks and feels during the scenes that use them. Very powerful. And these are the kinds of things photographers can pick up from watching these sorts of movies. Paying attention to how color is used, how light is manipulated to create the moods and effects throughout a film. There’s much we still image makers can learn from film makers. The beginning of chapter 5 from the book. Showing photos, production sketches, and models. Towards the end of the book Guillermo del Toro says he wants to finish this Spanish Civil War trilogy soon. He says the third movie will be called 3993 because the movie will open and close on a perfect circle. He mentions how The Devil’s Backbone, Pan’s Labyrinth, and Crimson Peak, also were circular, how something from the beginning of the movie has new meaning as the movie ends. He is very deliberate in how he structures his movies, adding elements and meaning, weaving together fantasy, horror, and reality, and in doing so he entertains, gives small glimpses of history, and perhaps teaches a little about the good and bad of humanity. Guillermo del Toro’s Pan’s Labyrinth is a great addition to the library of anyone who fell in love with the film and wants to learn more about both the film and those who created it. 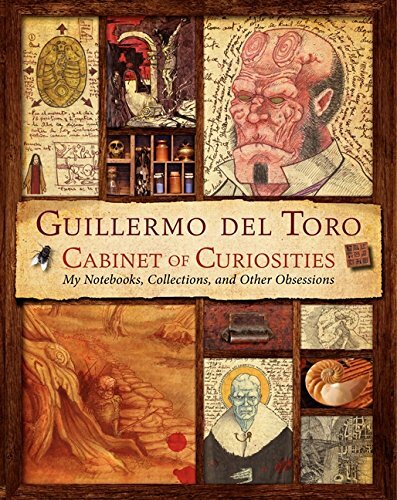 And if you’re a fan of Guillermo del Toro’s work you might also enjoy the book, Guillermo del Toro: Cabinet of Curiosities - My Notebooks, Collections, and Other Obsessions, which I also own. Cabinet of Curiosities has sections about each of del Toro’s creations as of its publication, as well sections about some of his unfinished works, and other topics important to del Toro. The book doesn’t have the three dimensional inserts contained in the Pan’s Labyrinth book, but it is full of the same sorts of content. I really enjoy both of these books. Check them out if you enjoy Guillermo del Toro’s films. And if you’ve never seen Pan’s Labyrinth, give it a try. You just might enjoy it. Today I want to share a review of another work of fiction I recently finished reading. 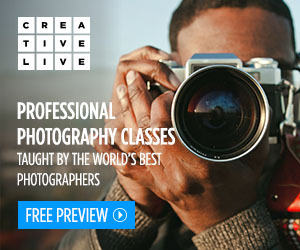 I do this to encourage everyone to look for inspiration everywhere, not just in photography. Read a novel or a biography. Watch a fantastic movie or a fascinating documentary. You may not initially find anything specific in these things that inspire your photography, but everything we read, watch, or experience changes and shapes us, and over time this will affect and improve your creativity. Exposing yourself to the ideas of others can help you develop your own. 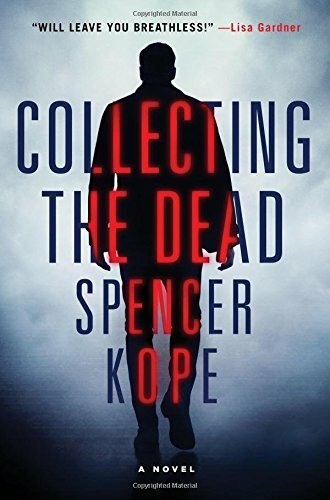 Collecting the Dead, by Spencer Kope, is a thriller about a special team within the FBI called the Special Tracking Unit, who are known for their unique ability to track down criminals and victims when no one else can. The key to the team is Magnus Craig, who goes by the nickname Steps and has been dubbed by the media “The Human Bloodhound.” He and his partner, Special Agent Jimmy Donovan, work closely in the field, Steps tracking, and Jimmy backing him up. The third member of their team is Diane, who is always working in the background performing research and coordination. But it turns out Steps is not really a tracker, though he has slowly learned some of those skills over the years. His real skill is an ability that lets him see where people have been, where they’ve walked, what they’ve touched. It’s like an aura of some kind, almost a residue. He calls it shine, and it is the reason he can track like no one else. Of course, as any gift of this sort, it comes with its own set of problems that Steps has learned to deal with. Very few people know of his ability, and he tries to keep it that way. His father knows. His partner Jimmy knows. And the FBI director knows. That’s all. The book opens with a case to demonstrate Steps’ abilities and how he and his partner work. It also introduces Steps’ sense of humor which surfaces throughout the book to very good effect. It keeps the book from becoming too dark or depressing. It’s a way people in this line of work can cope and it fits in well in the book. After solving the initial case the book jumps right into the main case, that of a serial killer who comes to be known as the Sad Face Killer for the calling card he leaves at each crime scene. As happens with serial killers, you don’t always know that’s what you have when you first begin investigating. But as evidence mounts, and background searches reveal other victims with the same patterns, it becomes apparent. In Steps case he knows it without a doubt. Every person has their own shine, each unique, each with its own colors and textures, and he sees the killer’s shine at each crime scene. By seeing this shine he finds clues no one else can. Once he’s seen your shine he always remembers it. If he runs into your trail years later he knows it’s you. This can be a blessing in tracking down killers, but can also be a curse when he’s not able to find the criminal, when they keep alluding him, even with his ability. But this doesn’t happen often. I loved Kope’s descriptions of shine, how Steps always sees it and over time learned how to tone it down a bit. And how he learned to identify each persons unique shine. Being a photographer who likes to occasionally experiment with infrared photography, I tend to picture shine almost as the unique glow you get with infrared photos, how living things just seem to shine, to glow, in a way they never do in life or in normal photographs. But of course with shine each person has their own unique color and texture, something lacking in an infrared photograph. The shine is something that is left on physical things, it’s a trail of sorts. But when the killer gets in a truck and drives away the shine disappears in the parking lot. Steps can track it to where the truck was, but after that it’s gone. So there’s still a lot of old fashioned detective work that has to be done to track down both killers and victims. That’s where Jimmy and Diane come in. And that’s what much of the novel focuses on, looking for one more clue, something to get them closer to the killer, while always seeming one step behind. Sometimes they don’t get there in time. People do die. “We save the ones we can,” they say to each other, trying to believe they do the best they can, trying to believe saving some is enough. But it doesn’t feel like enough to Steps. So he collects the dead, keeping photos of each person he wasn’t able to save, so he never forgets. But he’s tired of collecting the dead. He doesn’t want to add any more photos to his collection. I really enjoyed this book. Steps was a fascinating character, and perfectly paired with his partner Jimmy. Steps cares about the people he tries to save. It tears him apart when he fails someone. This added a real level of emotion to the story, left me with that sinking feeling when things went wrong. I was easily able to get caught up in the lives of these characters. I wanted to see them succeed, to find the killer, and to do it before he killed another victim. The ending was a very emotional one and left me a little exhausted, but very satisfied. Collecting the Dead was a self-contained story, but also set itself up for a sequel. I strongly suspect I’ll end up reading that one after it’s released. Let me know what you think of Collecting the Dead if you do read it.